Over a million Allied and German soldiers were killed or wounded during the Battle of the Somme in 1916. By the end of the four-month campaign, the battlefield resembled an enormous graveyard. It took months to clear away or disinter corpses for proper reburial. 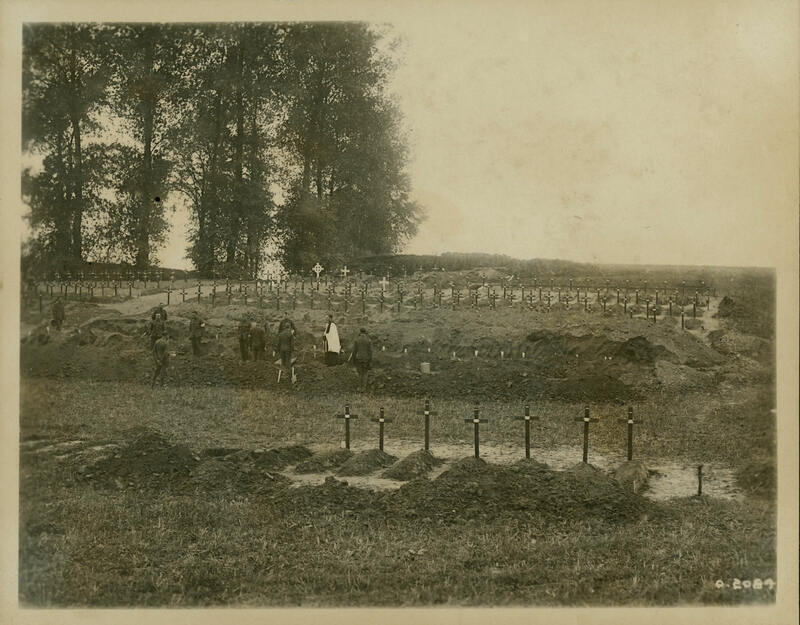 This photograph appears to show a grave digging team re-interring more than a dozen soldiers in individual plots.